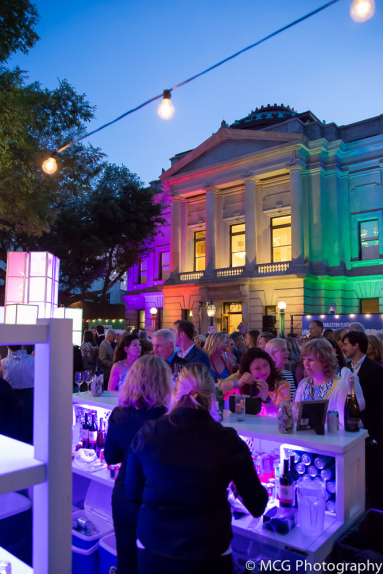 Since 2010, the Gibbes Museum of Art has celebrated the power of art through a fabulous Street Party under the stars for one night only. The center of Meeting Street transforms from a busy thoroughfare into a fully-staged event, complete with live music, dancing, an open bar, and delicious bites from Charleston’s top chefs. This gathering has become one of Charleston’s most sought-after tickets and it only gets better each year! This year our extraordinary chefs will celebrate the 10th anniversary of the Street Party. The aromas of delectable dishes and intoxicating musical rhythms will fill the air as guests are immersed in culture and cuisine under the night sky.